No integration yet with Alexa, Siri, etc. Sometimes the smart home doesn’t feel very welcoming to those of us who rent, rather than own, where they live, but Switchmate wants to change all that. 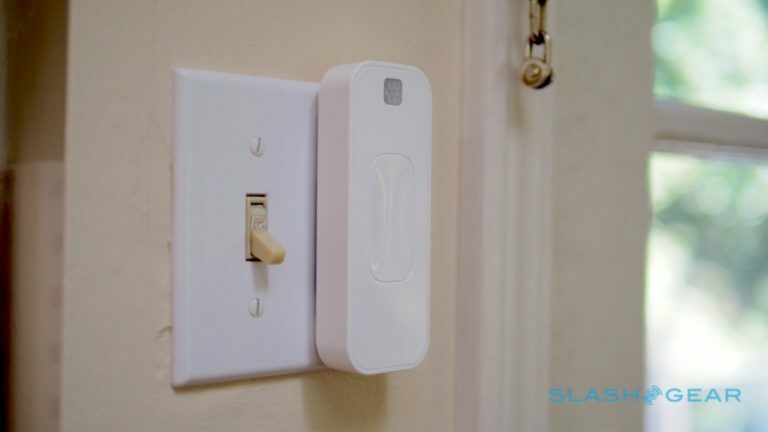 After its cleverly-simple first generation Bluetooth light switch upgrade comes this, the Switchmate Bright, throwing in more flexibility as well as a streamlined update to the magnetic mounting system. 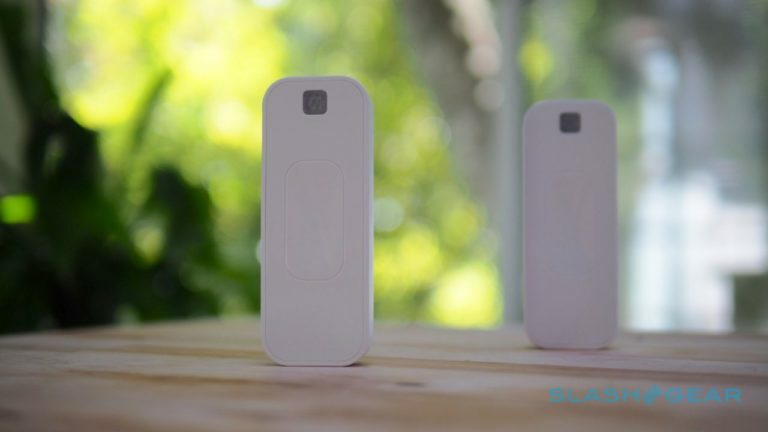 At $35 the promise is instant smart lighting, but does reality live up to that? Switchmate Bright addresses most of the lingering complaints I had about the first-generation model. Most conspicuous is that it’s significantly narrower: that means you can fit two or more side-by-side on double- or triple-gang switch plates. As before there are versions for toggle or plate style switches, but now the button is touch-sensitive rather than a physical pad. The battery-powered motor which actually throws the switch is still fairly loud, but you do at least escape the noisy “snap” the old button made too. Installation remains a matter of seconds, with magnets holding the Switchmate Bright onto the switch plate. The other addition is a motion sensor, which can automatically turn the lights on when it spots movement within around 5-6 feet. It’s controlled through the Switchmate app, which allows you to select how long the light remains on – through 1, 5, 15, and 30 minutes, up to four hours – and whether it happens every time or only within certain hours. There are also two timers, which can be set to occur daily or on select days, and a Welcome Home feature which turns the light on, during certain hours, when your iOS or Android device comes within Bluetooth range. While rival IoT devices are starting to cooperate with a variety of hubs and platforms, Switchmate is still fairly insular. Bluetooth LE remains the protocol of choice, and though Wink Hub 2 support is apparently on the roadmap, it’s not active yet. Apple HomeKit isn’t supported either, and Switchmate’s WiFi bridge– which will be needed for the promised Amazon Alexa integration – still isn’t available. Combined with fairly short Bluetooth range, the usefulness diminishes somewhat. Figure on roughly 30-40 feet of distance between the switch and your phone, depending on what walls or floors are between you. Switchmate has “native” speech control, though to use it you have to open the app and hit the microphone button to trigger it, and even then it proved hit & miss with recognizing my instructions. If you’ve got the app loaded, it’s easier just to tap the icon to turn the light on. How useful – or frustrating – Switchmate Bright is depends on the level of your expectations. On the one hand, I was able to quickly add motion-triggering to the lights in our laundry room, so that now when I walk in with my arms full I don’t have to stumble in the dark. It was simplicity itself to install, with no tools or permanent mounting required, and all in all probably worth the $35 for that purpose. See Switchmate Bright as the first step in a minimally-installed smart home system, however, and the annoyances are more glaring. Switchmate’s native voice control is rudimentary to the level of pointlessness, and it doesn’t play nicely with any of the widely-adopted hubs or controllers. The company’s roadmap apparently acknowledges much of this, but there’s no public timescale for when those features might arrive. I still think there’s a lot to like about a home lighting upgrade that’s so easy to install, not to mention one which doesn’t get in the way of manual operation. Still, the current level of compatibility means Switchmate Bright’s smarts are rudimentary at best. 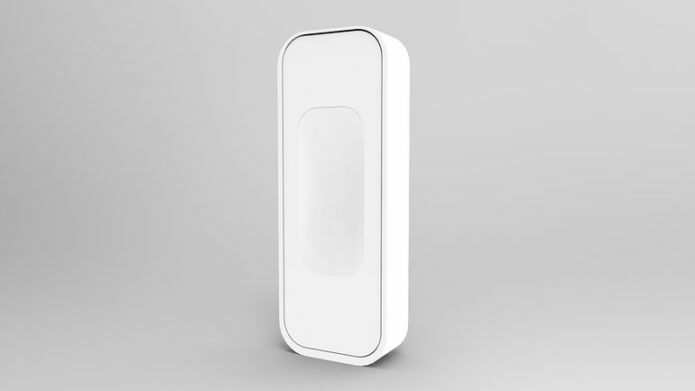 The concept has promise, but it’s still very much a clever accessory rather than a tool-free smart lighting platform.